The annual Fae Yule World Event festivities have arrived on Telara and Grandfather Frost is asking for your help to bring joy and cheer to Telarans the world over! [Guide Outdated. Please refer to the new one here. Leaving this article here for archival purposes]. Most things this year are the same as 2013, although there’s a new ‘Faelight Sparkle’ quest, a new achievement and new RIFT Store items. I’ve also gone ahead and trimmed some unnecessary ‘fat’ from the 2013 guide and changed formatting for an easier read. Sanctum, Meridian and Tempest Bay have added a layer of snow and festival decorations to welcome Grandfather Frost and his band of helpers. New and old Quests rewarding Unique Snowflakes and Dark Icicles (event currency). Flargle Plaza in Draumheim has a new Faelight Sparkle Quest rewarding possible raid loot. New Store Items and Achievements. The Fae Yule-themed alternate Whitefall Steppes warfront makes a return! Each phase has new activities. First off, those in Tempest Bay can head to Plaza Aurentine and click on the snowmen in front of the Fae Yule portals behind the Porticulum. Make sure to click the correct snowman! If you are Guardian, click on Sanctum Snowsatyr. 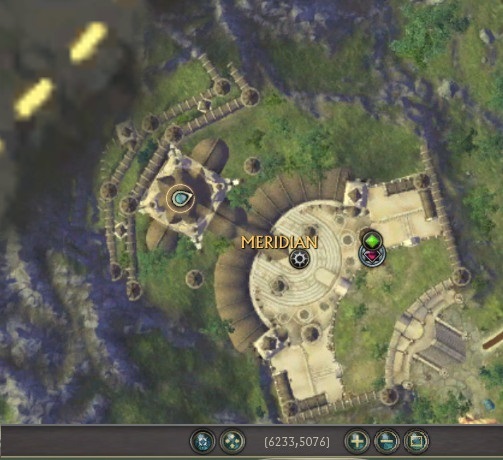 If you are Defiant, click on Meridian Snowbogling. 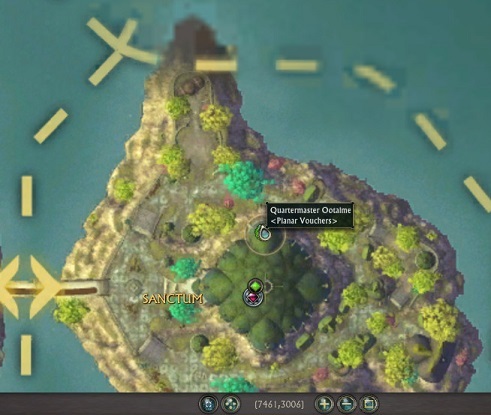 You will be ported near the Fae Yule quest hub in Sanctum/Meridian. 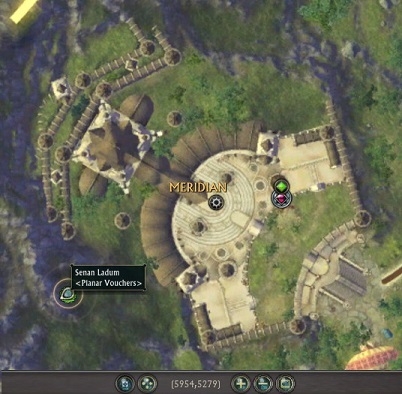 Quest hub for Sanctum can be found right outside the main building next to the Statues of the Messengers of the Vigil. 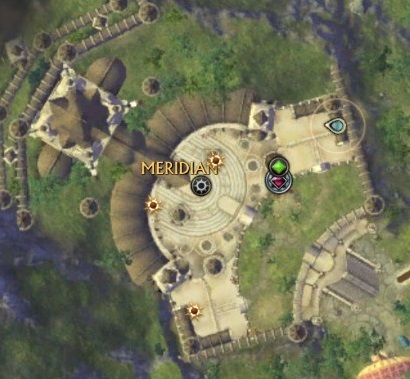 The quest hub for Meridian can be found right outside the main fort in the mid-section between Meridian’s inner walls and outer walls. There’s also 3 Daily quests in Nightmare Tide found at Port Scuddra (6520, 4140) in Tarken Glacier; Ghar Station Rosh (5512, 6371) in Draumheim; and Ghar Station Mem (4040, 6615) in Goboro Reef. Note: Token Vials work on Unique Snowflakes but do not work on Dark Icicles. This is intended. There’s multiple new quests available in Nightmare Tide zones for Fae Yule this year. Objective: Collect 500 Faelight Sparkles. Reward: Faelight Sparkling Shard of Wonder (possible raid gear) + 50 The Onir Rep.
First up, if you’re Level 65 you want to head to Flargle Plaza in Draumheim in the Plane of Water and collect the ‘Faelight Sparkle’ quest. It can be obtained from Stuttk Fyrirthig at (5623, 5452). The reward is possible random raid gear of your calling. You will need to complete Level 65 Warfronts, Experts, Conquest wins or zone events to receive the Faelight Sparkle quest items. Objective: Bring NPC a quest item from a random mob. Reward: 25 Unique Snowflakes and a Jingling Bell + 50 Cerulean Rhenke Rep. This daily quest is located at Port Scuddra (6520, 4140) in the south-east corner of Tarken Glacier. You need to go to an area in Tarken Glacier, kill a mob and then take a quest item from their corpse, then return to Captain Jack Skyeling for your reward. The mob and quest item is random. Objective: Kill trees at the Landquarium to get 8x Fae Yule Kindling. Reward: 25 Unique Snowflakes and a Jingling Bell + 50 The Atragarian Rep. This daily quest is located at Ghar Station Rosh (5512, 6371) in Draumheim. You need to go to the Landquarium in the south-west section of the zone and kill Churlish Brown Treants and collect Fae Yule Kindling from them. Objective: Dream up a present and deliver it to an NPC in Goboro Reef. Reward: 25 Unique Snowflakes and a Jingling Bell. This daily quest is located at Ghar Station Mem (4040, 6615) in Goboro Reef. 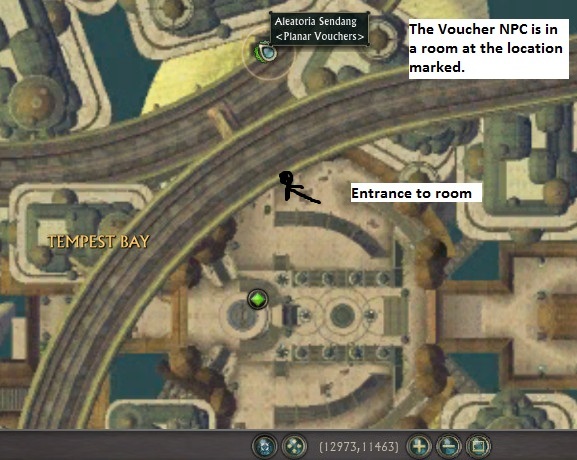 You need to dream up a present at the station by sleeping on one of the beds provided near the NPC and then deliver it to an NPC in Goboro Reef. The NPC you turn the quest into is random. Some are locations in the Atragarian Well and others are located at Temple of Ranri. Objective: You are tasked with Lighting the way for a Lost Traveler in Sanctum/Meridian. Reward: Dark Ice Bell + 10 Dark Icicles. (Also unlocks further dailies). Check your map/mini-map to see a quest marker when you pick this quest up. Once at the location, use your quest item by clicking on it either in your quest window, or your quest tracker. If someone is also doing the quest when you arrive, you will complete the quest when they do (so sometimes you don’t have to do anything!). Return to Greatfather Frost for your reward. Note: If you don’t see any black fog/Lost Traveler at the quest marker, either wait a small amount of time for the NPC to respawn, or, abandon quest and retry. Currently there’s a bug where you will have your candle quest item removed after you complete the snowball fight quest. Tip: The Dark Ice Bells are Bind on Account so you can do this very quick and simple quest on your alts and then send the item to your main. Objective: Hit 8 combatants with a snowball. 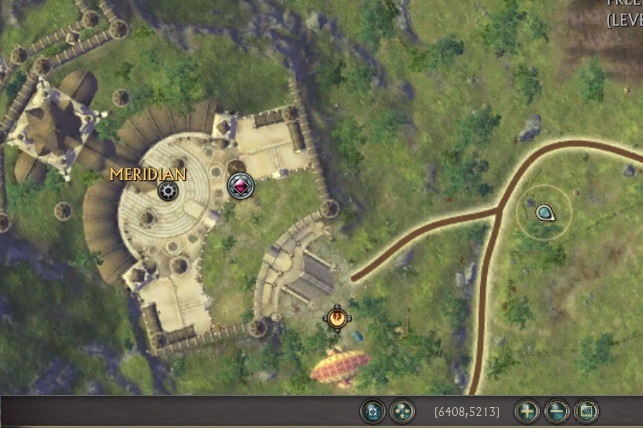 For this Daily quest, you need to find the ring of Snowmen in Sanctum/Meridian. It will be indicated on your map. Shortly after going inside the ring, you will receive a reactive called “Snowball”. Target another player and use Snowball on them to increase your quest objective. Note: Players are immune for 7-8 seconds after they have turned into a snowball, so if your reactive is inactive – you’ll have to wait till their debuff drops. Unfortunately you won’t be able to see the debuff on anyone other than those you have personally turned into a snowball unless you have unticked “Show only my debuffs on the target” and “Show only my Buffs on target and party members” in Settings -> Interface -> Combat. If you have the settings above unticked, you can right-click on the debuff that appears on yourself when someone hits you with a snowball to quickly remove the debuff, thus allowing others to quickly complete their objectives. What happens when you are the only one in the circle? No problem – every few seconds, an NPC will run from a random side of the circle to the other side whom you can use your snowball on. Objective: You are tasked with Lighting the way for 3 Lost Travelers in Silverwood/Meridian. This quest is similar to “A Lost Traveler (Story)” quest except you have to go to Silverwood (Guardian) or Freemarch (Defiant) and is unlocked after you complete the story version (already unlocked if you did previous years’ Fae Yule). You’ll notice large patches of black smoke in the zone in the areas indicated on the map. In the middle of those patches will be a Lost Traveler. Use the Quest Item by clicking on it and placing it near the Lost Travelers to complete this quest. Reward will appear in your Reward bag. You’ll find ‘Humbug’ NPCs walking around in Sanctum and Meridian. Target them and use the Yulemother’s Gift quest item on them (appears in your quest tracker and quest window) to turn them into ‘Revelers’. They will usually disappear shortly after turning Reveler. You can denote the ‘Humbug’ NPCs both by their name and the cloud over their heads. Players will randomly also have this cloud over their heads and you can use the quest item on them as well. Click Save. Throw the macro onto a hotkey and spam away to find the closest Humbug. If you happen to get a cloud over your own head, you can target yourself (click your portrait) and use the Yulemother’s Gift on yourself as well! Objective: Collect Stolen Holiday Cheer from rift creatures. This quest involves killing rift creatures (Invasions, Rifts, Strongholds, Zone Events). It appears as part of a rotation (i.e. might not be available every day). Loot them when you have this quest up to obtain Stolen Holiday Cheers. This quest involves closing Air Rifts. This appears as a rotation (i.e. might not be available every day). When you close the Air Rift, the Stolen Gift will appear in your Rift Loot Bag. Simply go to any Wardstone/Sourcewell you can find and press on the Nexus Infusion Ability. It doesn’t matter if the wardstone is already fully buffed to max level, and it doesn’t matter what level the wardstone is. This will complete the quest. Note: You will need a Planar Charge to upgrade a wardstone. These are gained from closing Rifts, standing over popped Planar Crystals, using Aspect of the Ancients consumable or using Planar Attunement (Level 50+) abilities that grant Planar Charge. Quest reward will appear in your Reward bag. Objective: Close Air rifts that grant experience 0/2. Velana rotates dailies, sometimes providing ‘Close Rifts!’-type quests. In this instance, “Baffling Crucia’s Winds” requires that you close Air rifts that grant experience (so you may need to mentor down to around the level of the rifts you are closing). This is a simple quest to lead-up to the main Sledding quests. You can’t miss it! This will port you to Iron Pine Peak where the Sledding quests are. If you need to get to the Sledding quests manually, they are located slightly south-west of Whitefall in Iron Pine Peak. Objective: Grab a sled at the top of the hill. Then go through all Gates (flags). You can get to the top of the hill via standing in the blue jumppad. This will port you to the top of the hill where the sleds are. As indicated; grab a sled. Now slide through the middle of each set of flags/gates. Below is what a flag/gate looks like – just go in-between them to progress the quest. Run over snowmen on the way down to complete the other quest, “Snowmen Snowpocalypse (Daily)” below. Speak to Merry to receive your reward. This is a Repeatable quest, but if you’re farming Unique Snowflakes – it is better to close Rifts/destroy Invasions than it is to repeat this quest. Objective: Grab a sled at the top of the hill. Run down 10 Snowmen! As indicated; grab a sled using the instructions in “Sled Slalom (Daily)” quest above. Next, run down 10 Snowmen that are in the area. You can complete this alongside “Sled Slalom (Daily)” quest at the same time by making sure to slide in-between the flags/gates. Note: You can slide uphill as well as downhill. Atrophinius makes an appearance in Phase 2 of Fae Yule with a new Story Quest that rewards a Dark Ice Bell and 10x Dark Icicles as well as a Daily Quest once you complete the Story Quest. Objective: Collect a Bowl of Fae Wassail. Speak to Atrophinius at any Fae Yule quest hub to get this quest. Simply pick up a Bowl of Fae Wassail that spawns from the various tables in Sanctum/Meridian and turn it back in to Atrophinius to get your reward. Objective: Collect 5 Bowls of Fae Wassail. After you complete the Story Quest “Surly Sober Satyr”, you will be able to do the daily from Atrophinius. Same thing as the Story Quest, only collect 5 bowls of Wassail. This quest is a daily on a random rotation. You have to go to the Lodge of the Planes (Guardian) or Spirit of Rha’Zade (Defiant). Click the above links for maps. Once inside, click on the Quest item ability in your quest-tracker or Quest window (default key “L“) and then click on an empty space on the inside walls of the building. What are the Ice Flowers for? You may have noticed during Phase 2 that these white-ish/blue Ice Flowers (called Icebuds) have spawned in Sanctum and Meridian. These no longer serve a purpose although they used to be used for a mount quest. 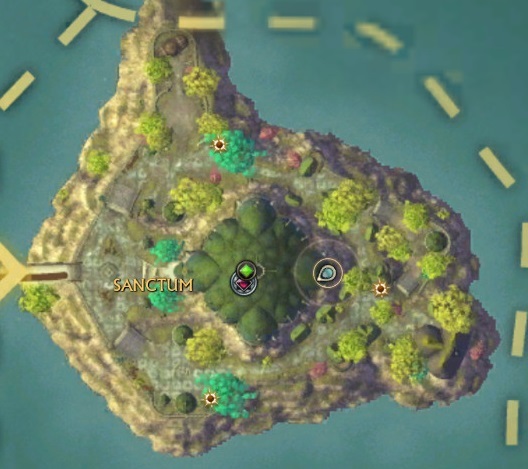 Rellop is located at the top-most floor of Sanctum (for Guardians) at approx. (7525,3054). Click here for a map. 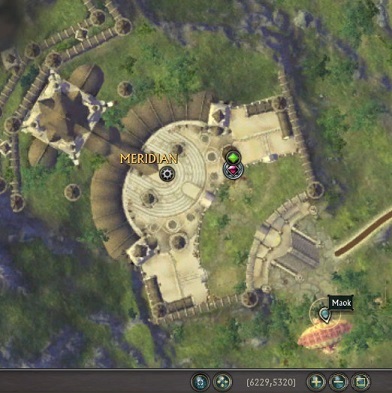 Rellop is located at the top floor of Meridian’s Orphiel’s Spire (for Defiants) at approx. (6233,5076). Note, do NOT take the Lift/Teleporter. 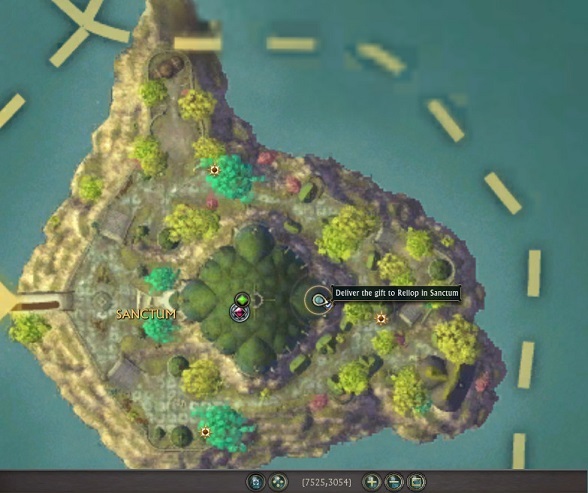 Rollop is located just above the teleporter accessed via the ramps. Click here for a map. Objective: Collect Undelivered Gift from pile near Rellop; Enter Wreath Portal; Give Gift to NPC; Enter Wreath Portal; Turn-in to Rellop. After you complete the Phase 3 Story Quest to deliver a gift to Rellop, you can pick up a daily from Rellop. There should be a large Wreath portal near Rellop. Once you pick up your gift, jump through the portal and it will randomly teleport you to a location in Telara where there will be an NPC you can interact (has a speech bubble) to give the gift to. You should then be able to go through a Wreath Portal very close by to return to Rellop and collect your reward. Note: Sometimes the Wreath Portal may take a moment before it appears. Be careful when you are teleported to a boat because you may not be able to jump back up onto the boat if you were to jump off it into the water. Just wait a moment and a Wreath Portal should appear at the back of the boat. Objective: Use a Bowl of Fae Wassail; /Kiss in three locations. This daily involves using a Bowl of Fae Wassail dotted around Sanctum/Meridian which will turn you into a Faerie or Satyr. Then you type /kiss whilst in the locations indicated on the mini-map (you don’t need to target anyone). Note: When you use a Bowl of Fae Wassail you’ll be turned into a Faerie or Satyr and will be unable to mount up. You can actually right-click the buff you get on your buff bar and this will remove the disguise. You can then proceed to mount up and go to the three locations and type /kiss without dismounting or targeting anyone. They are all indicated on your map and will have a Mistletoe decoration on top of each location. A special Fae Yule Instant Adventure (“IA”) chain can sometimes appear whilst you are doing Instant Adventures in Silverwood, Freemarch, Scarwood Reach, Cape Jule, Pelladane and Ashora. They revolve around the Fae Yule Village. Your task is to help build up the village, and then defend it from invaders before defeating a boss. Once you do so, NPCs will appear that will sell you Fae Yule-related items. The Dimension vendor is of particular note as he sells individual Fae Yule dimension items, unlike the other vendors or the Rift Store which only sell the Icewatch Outpost Dimension Key or various bundled, Fae Yule Dimension Item Kits with random items. You’ll need to be between a minimum and maximum level to join an Instant Adventure in a certain zone. Silverwood/Freemarch – Min: Level 10; Max: Level 14. Scarwood Reach – Min: 30; Max: 35. Cape Jule – Min: 50; Max: 54. Pelladane – Min: 50; Max: 54. Ashora – Min: 59; Max: 60. When you are standing still and not in combat, right-click your Level under your character portrait. Click “Set Ascended Mentor level” and choose the level you want that corresponds to which zone’s IA you want to join. Wait for the cast to end, and you’re now that level! To change your level, do the same thing. To go back to your original level, select “Clear Ascended Mentor level”. To join an Instant Adventure, open your Instant Adventure window (default key “.“). It can also be found in your menu bar under the “Start” icon. You’ll find both a “Random Adventure” join button that will randomly assign you a zone from Level 10 up to your current/mentored level. Or you can choose a specific zone. The window will only show specific zones that are in your level range. I.e., at Level 51, you can only specifically join Cape Jule and Pelladane that have a Level Range of Level 50-54. Mentor down to the level range of the zone you want to join and away you go! If you don’t care what zone you get placed in, just choose Random Adventure. Note: You MUST be in the appropriate ‘continent/content area’ to see specific IAs. For Silverwood, Freemarch and Scarwood Reach you need to be in Mathosia. For Cape Jule, Pelladane and Ashora, you’ll need to be in a Storm Legion continent or Tempest Bay. It seems there can be some confusion with this particular quest in the Fae Yule Instant Adventure chain. What you need to do is use the Candy Cane reactive to turn into a Corgi, then use the “Call of the Corgi” (the Corgi-icon reactive) on a Corgi for it to start following you. Afterwards, run to the Fae Yule Village towards Ama Ree NPC (in the middle of the village) to add towards that IA’s objective. After the Fae Yule Instant Adventure arc is over, you will get 90min where some Fae Yule artifacts will spawn in the zone that the Fae Yule IA was completed in. There’s 6 Fae Yule artifact sets to collect along with an achievement for collecting them all! To find out if the artifacts are up in the zone you are in – check the Fae Yule Village of that zone. 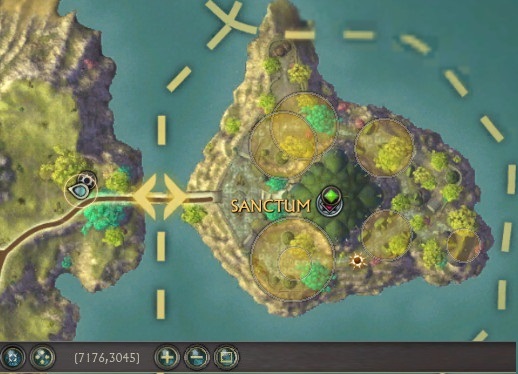 For Silverwood, it is very close to Sanctum bridge. If Tink the Corgi (the one to the left of the main hut) is still there, it means the Fae Yule Artifacts are still up. Note that any remaining artifacts will despawn after 90min. If a new Fae Yule Instant Adventure arc has begun whilst Tink is still active, Tink will not reset. 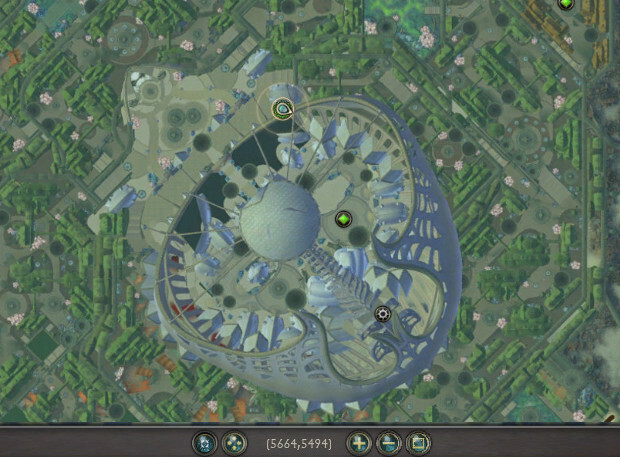 Once the arc has been completed, Tink’s timer will reset to 90min. These Artifacts don’t appear as normal/twisted artifacts but instead as small Giftboxes that show up where artifacts normally spawn! They are trackable with Artifact Tracking Vials and named ‘Fae Yule Artifact’ when you hover over the ‘node’ on the mini-map. Note: Since they appear where other artifacts spawn, you may sometimes have an Artifact on top of a Fae Yule Artifact. As such, you may wish to double-check the ‘Artifacts’ that you see on your mini-map with your Artifact Tracking Vials as the mouse-over tooltip might be covering a Fae Yule Artifact. That said, the Fae Yule Artifacts are large enough that they won’t be hidden behind normal Artifacts on-screen. There’s a ‘Golden Devourer’ open raid boss that you can summon during Fae Yule. The Golden Devourer is found at the same place as where Senbora the Devourer spawns at the bottom of Greenscale’s Crater in the Level 60 zone, The Dendrome at (4491, 4545). He has approx. 1.47 billion hp. You get a quest completion (kind of like carnage quests) even without picking up any quests once the Golden Devourer dies. The quest rewards: Minion Card: The Golden Devourer; 200x Fragments of Horror (Tier 1 Raid currency); Dark Ice Bell, 434k XP and 1p 73g 34s. Minion Card: The Golden Devourer has Earth and Assassination attributes and starts with 12 stamina (so likely has 30 stamina when maxed). You summon the Golden Devourer by going to the Level 65 Expert Dungeon – Nightmare Coast. There you’ll find a cave just behind the 1st boss. Entering this cave will get you ‘The Golden Mark’ 1hr buff which will teleport you to Greenscale’s Crater in The Dendrome and summon The Golden Devourer for you. During the Fae Yule World Event, you will get a chance at certain bonuses in Level 65 Expert Dungeons. The last boss of each Level 65 Expert Dungeon will have an extra reward that you can roll on called “Fae Yule Loot Bonus”. These have a 12-day Cooldown before you can open them which can be reduced with Temporal Aligners bought from the RIFT Store (under ‘Chests & Keys’). The Fae Yule Loot Bonus from Dungeons drop loot from the Boss/Dungeon’s Loot Table. Note: These are Unique per dungeon. You can technically have one per Level 65 Expert dungeon in your inventory. If you already have a loot bonus from a dungeon, next time you loot that boss you won’t even see the loot roll. Open World rift creature-based mobs, invasions, rifts and zone events will give you Unique Snowflakes as well as a chance at Fae Yule Food items and Snowmen interactive items. In Sanctum and Meridian you can occasionally find interactive Gifts, Soups and Candy Canes. These can turn you temporarily into Vaiyuu and other Fae Yule-related creatures as well as provide you with a handful of Unique Snowflakes and some Fae Yule Food Items. This zone event appears at random in a random zone. Starts off with destroying some Storm Pillars. Make sure to not be in melee range unless you have heals as the pillars do a melee-based AoE pulse attack. After destroying the pillars, Air Rifts, Footholds (Idols) and Invasion Bosses will appear on the map. Once those are destroyed, Yulelogon (Zone Event Boss) will appear! The Zone Event boss has anti-Melee AoE, several attacks at random players as well as an ability that turns random players into woodland critters and wisps. They are shown on the main map by a snowflake icon. Clicking on the Giftpiles that spawn around the tree will gain you Unique Snowflakes. Each time you pick up a gift, the Tree’s hp drops. When it reaches 0, the tree will despawn. You also get a chance at a Lump of Coal. You can usually claim 20-25 gift piles before the Tree dies. That results in ~20-25 Unique Snowflakes per tree. 2-3 more if they drop Lumps of Coal. Bug: If you are picking up a Giftpile and the Fae Yule Tree despawns mid-way, you’ll encounter a bug where you are unable to use any abilities. Just log out and back in and it should work again. Lump of Coals are gained as a chance drop from completing/destroying Fae Yule Trees through the collection of the Gifts underneath the Fae Yule Trees scattered across the zones. There is a Naughty, Definitely Naughty achievement to burn 10 lumps of coal. Take these Lumps of Coal to a Grandfather Frost’s Hut located outside Sanctum and Meridian. When you have Lumps of Coal in your inventory, Grandfather Frost’s Hearth will be interact-able. Interact with it to gain 2-5 Unique Snowflakes and several Fae Yule Food items. Given how low the Unique Snowflake currency gain is from the Lumps of Coal, it would be best to store them up and turning them in all at once. You will gain Unique Snowflakes from Rift Creatures in Invasions, Rifts and Zone Events. Hunting these down can be one of the most efficient ways of earning Unique Snowflakes outside of daily quests and Fae Yule Trees. Just make sure to be level-appropriate for the mobs you kill or else you will receive much less rewards. Mentor down to a level in which the mobs’ Level in their portraits are not Gray-colored to you. Doing Zone Events can be especially rewarding because you usually get tons of Invasions spawning and charging into 3-4 locations on the map and tons of Rifts will spawn. Doing the easy-to-do Fae Yule Daily Quests on your Level 10+ alts (or all of them) can be a quick way to amass Unique Snowflakes. Just doing 4 of the dailies each day will get you 100+ Unique Snowflakes per day, per alt. You can use Unique Snowflake Vouchers to send them all to your main. Have one char of each class? That’s at least 400 Unique Snowflakes per day for minimal effort, more with Token vials. There’s a ton of new Fae Yule items as well as old making an appearance in this year’s Fae Yule World Event. You can access the majority of items you can obtain from Cash Shop -> World Event. I’m mainly going to list new items or items that you might want to see a preview of before you buy. You can see a list of the 2013 store items here. The Merry Mink Mount is the new mount for Fae Yule 2014. It is obtained via rare chance from the Limited Edition: Merry Mink Trove which costs 700 Credits (630 for Patrons) in the RIFT Store -> World Event. The Trove itself gets you a chance at up to Level 65 lockbox gear, currency, wardrobe bundles or service items. The Merry Mink Mount is account-wide and 155% mount speed or up to your fastest mount speed. The mount itself uses the squirrel rig so it also has the uncommon stand-up-on-hind-legs idle animation. There’s two portraits this year for Fae Yule 2014. Fae Yule Gift Portrait – This ‘boxes/gifts’ portrait is obtained from the 2014 Fae Yule Minion Adventure Pack gained from the RIFT Store for event currency or Credits. Animated Holiday Portrait – This portrait is the wreath portrait in the above image and also comes with animated snowmen that appear alongside your stat bars. Gained from the RIFT Store for Credits. The 2014 Fae Yule Minion Adventure Pack (“Pack”) is gained from the RIFT Store for 950 Unique Snowflakes and 30 Dark Icicles (event currency), or for 1,350 Credits (1,215 for Patrons). ‘Missions’ unlock for 5 other Minions and special Minion Adventures. Be aware that the Festive Winter Sweater gained in the Pack is different from the Corgi Fur Sweater that you can also get from the RIFT Store -> World Event. You will be given certain missions to complete random special minion adventures that you can only obtain if you have the Pack. There’s a total of approximately 17 of these adventures that you can get, plus an additional one once you complete all 17 adventures. These adventures appear in 1min, 5min, 15min and 8hr adventures. Once you complete the first 17, the 18th one unlocks which is a 1min adventure that rewards some Unique Snowflakes currency (and a chance at Dark Icicles from high-star adventures). This is separate from the 10hr Promo Fae Yule Adventures which do not require the Pack to unlock. Siddar on the RIFT forums has posted the progression order of the Fae Yule minion adventures and which adventure deck they are hidden behind. For this list, you must complete the current Fae Yule adventure your minion is on before the next adventure will become available. The first 17 are once-only with the 1st adventure requiring the Minion Card: Rudy that you get in the pack. The 18th one is a repeatable. Thanks to Siddar for the information! There’s new dimension items this year as well. Fae Yule Dimension Kit: 2014 Collection which contains Blue Fae Yule Candles, Mistletoes, Jingling Bells, Small Pile of Gifts, Bogling Snowman, Snowy Cart, Icy Stalagmite and Frozen Cephalon statue. Dreamweaver Recipes: Snow Terrain Paint, Quiet Blue Fire, Quiet Green Fire and Quiet Red Fire. Check out Feendish’s post about the new and old Fae Yule dimension items over at The Dimension Touring Company here for screenshots and more information! You’ve got the Fae Yule Grand Cape, Snow Globe weapon costume and Fae Yule Tree Staff weapon costume. These are all obtained from the RIFT Store -> World Event. Equipping the Fae Yule Grand Cape also rewards you with the “2014 Fae Yule Festive Cape” achievement that gives you “the Icy” title. This achievement is found under World Events -> Fae Yule. Although not new, these weapon costumes used to be found under Fae Yule lockboxes. You can now find these on the RIFT Store -> World Event for direct purchase with either world event currency or Credits. Goose and Ice Bird are the new Fae Yule companion pets for this year representing a goose and a penguin with santa hats. Available in the RIFT Store -> World Event. Companion Pets that used to be Fae Yule lockbox-only that are used to obtain the “For Whom The Jingle Bell Tolls” achievement that rewards a Snow Ki Rin Mount are now also available under the RIFT Store -> World Event section. There’s a wide variety of Achievements available in this year’s Fae Yule World Event. For Whom The Jingle Bell Tolls. Reward: Snow Ki Rin Mount. Snowmancer. Reward: Call of the Snowmancer interactive item. Snow Puppet Master. Reward: Puppet: Grandfather Frost companion pet. 25,000 Imported Twinkle Lights. Reward: White Light of Yule companion pet. The Nightmare Before Fae Yule. Reward: Nightbringer Mount. The Puppet Master. Reward: Puppet Head Enlarger interactive item. A Bloody Fae Yule. Reward: Santa Claws companion pet. There are a lot of other achievements without rewards for this event as well. Check out the Achievements section of last year’s Guide: Fae Yule Store Items & Achievements 2013 for full information on all the Fae Yule achieves and how to complete them. The only new addition for 2014 is the “2014 Fae Yule Festive Cape”. Equipping the Fae Yule Grand Cape obtained from the RIFT Store -> World Event will give you this achievement and reward “the Icy” title. This achievement is found under World Events -> Fae Yule. A temporary Fae Yule-themed Whitefall Steppes is up and running with Bonus Rewards (bonus favor/prestige earned during the warfront) for the entirely of the Fae Yule World Event. Access this Warfront via the PvP Window (default key “K“) under the Warfronts tab. Winning or losing this Warfront gives you some Unique Snowflakes. 25 for winning, 10 for losing. You may also receive a Jingle Bell that contains a handful of Unique Snowflakes and a chance at a Fae Yule Food item. These will appear in your Rift Loot bag. This particular warfront introduces some changes to the usual Whitefall Steppes. A random player in the warfront will gain a buff where he turns into Santa Claws (a werewolf with a Santa hat). That player does 10% increased damage whilst he has the buff on him. However, if you kill that player, you will become Santa Claws and receive this damage buff. This means that often the other side will be focusing on the Santa Claws, especially those who want the damage buff. Be sure to protect your Santa Claws if he/she is on your side, especially since they cannot mount. Like Santa Claws buff, this is a debuff that gets placed on a random player. That player can’t mount, is snared (slowed) and cannot pick up gifts (stones). You can however use a reactive you receive to give this Cake to another player. If you have the Cake, throw it on an enemy player who is trying to pick up a stone to prevent them from doing so. Good for base defense when your team has Stones (since you aren’t moving much anyway so the snare won’t affect you as much). Stones have been replaced by Giftboxes, and the turn-in area has been replaced with a Christmas Tree. The Stones only spawn under the Christmas Tree in the center of the map, unlike in regular Whitefalle Steppes where it can spawn on either side of the center. Also, the Christmas Tree where you turn in your Giftboxes (stones) has a much thinner base, so it is easier for you to defend (since there is minimal cover for thieves). The Buff Orb in your base has been visually changed into Snowmen. Just run over them like usual to receive your buff/hp regen. The rest of the changes are pure decoration. 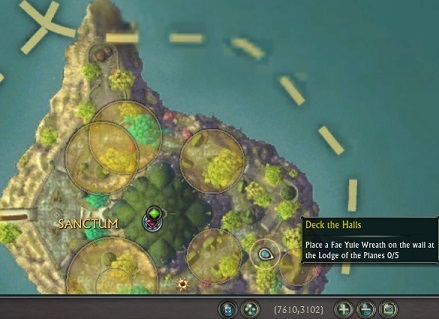 You’ll find candy canes, streamers, vaiyuu and other Fae Yule-themed decorations throughout the map. They don’t do anything. Win 5 “A Very Fae Yule Whitefall” matches. You Shouldn’t Have…No, Really, You Shouldn’t Have! Receive the Fae Yule Cake debuff during a WS match. This is mainly luck – the person who gets chosen randomly at the start to get this Cake will either not notice it at all, or pass it on to others. Whether it gets passed on to you is luck (or you can whisper the person who has it and hope they comply). He Knows When You’ve Been Naughty! As per the objective, Kill the person with the Santa Claws buff (the gray werewolf with a Santa Hat). Win a Very Fae Yule Whitefall match. Kill 5 players when you have the Santa Claws buff. Meta achievement for completing all 5 of the above achievements. You gain the Santa Claws companion pet. There are special Fae Yule-related Minion Adventures that you can go on. Special adventures unlocked with the 2014 Fae Yule Minion Adventure Pack. Approx. 18 adventures in all that you can randomly obtain that rewards Fae Yule currency. You can also get the 5 Fae Yule minions from special 8hr adventures via the missions you get. The 2014 Fae Yule Minion Adventure Pack is obtained from the RIFT Store -> World Event. Fae Yule Minion Adventures also have a chance to give the Dark Icicle currency and can appear in the short and long adventures (15min/8hr confirmed thus far by Matthieux). You can get the Fae Yule Puppets and the Fae Yule Lights companion pets from other players as they are Bind on Use; so check the Auction House if you are missing some of them for those meta achievements. Do Story Quests from each Phase on your Alts to gain more Dark Ice Bells (they are BoA), as well as Dark Icicles. Although Dark Icicles aren’t tradeable/transferrable between chars, you can use your Alts to buy items that are Bind on Account (like mounts, essences, 28-slot bag) that cost Dark Icicles and use your main for the Bind on Pickup items. You can trade Unique Snowflakes between your characters on your account through Vouchers from the Voucher vendors in each city. (Sanctum) (Meridian – Inside the main building, not outside) (Tempest Bay). Token Vials work with Unique Snowflakes (not with Dark Icicles). Do the 18th, 1min repeatable Fae Yule Minion Adventure unlocked from the 2014 Fae Yule Minion Adventure Pack for a chance at Dark Icicles. These are rewarded for high-star (6-star usually) Fae Yule adventures. Hope this guide helps you traverse safely through this year’s Fae Yule World Event! Happy Yule Tidings to you all and Merry Christmas in that other world! Each quest is daily, gives you 25 snowflakes each and ofcourse a bell! Most welcome! Great job you all do here! Thanks for the info Matthieux and taking the time to screenshot and upload them! That’s all 5 of them right there (+2 you get auto). Do you happen to remember if Grandfather Frost started off with 10 or 12 stamina? I’m 95% sure that he started off with 12. That sounds about right given the amount of stamina it has at Level 5. So if I am reading this correctly you can only obtain a total of 30 of the icicles, please correct me if I am wrong. It’s probably around 40; 10 every week – although it could be 30 (10 per phase). The Dark Icicles are limited currency and they act more or less the same as other limited currency in other world events. You can somewhat go around this by using your alts to get any Bind on Account items you are interested in and sending them to your main. As a note, I’ve obtained 2 dark icicles from minion missions so far-one from a 15-minute mission and one from a 10-hour mission. I imagine that once the 10-hour ones are re-enabled they’ll have a small chance of dropping icicles again. That’s very good news! Depending on how rare it is, this could provide a significant boost. Thanks for the info Matthieux! Icicle drops from Minion missions confirmed. All 6 Star 10h missions drop one for sure (and the infamous red chest…), other missions seem to have a small chance too – maybe 10-20%. Got only 7 so far, so my estimates might be off a little. 10h Missions that don’t give a 6 star result won’t drop the Icicle nor the chest. Or so it seems so far after around 20 attempts. I’ll add that up on the guide as well. 8 hours of yule goodness on three toons doing rifts and swiping gifts from trees, etc. dropped no coal. so its bugged and not dropping now. Are you collecting gifts from the piles right underneath the tree? The individual sparkling parcels lying on the floor a few feet away from the tree are just for show. Go for the piles of gifts very close to the tree. not sure if anyone mentioned yet but you can get snowflakes from the rift mobile app’s loot game as well. When/how do the minion yule missions appear? I’ve been running everything I have through every mission short of the 10hr trying to get a yule mission and nothing. I thought initially you just had to send Rudi/Nightbringer on 18 missions, but clearly that isn’t right… I haven’t had any timed mission short of 10hrs be a Yule mission. IS there a bug? If you’ve completed all 18 Fae Yule missions then the only thing left from those missions would be the 18th repeatable that you can find on occasion in the 1min adventure deck. The 10hr Fae Yule adventures are separate from the 2014 Pack. As for the 2014 Pack itself. It starts with a 1min mission that only Rudy can go on. Afterwards, the other missions can be done by any of your minions. As the guide states, there’s a specific order that you can get these missions one at a time until the 18th. Missions #1 to #17 are one-off and won’t appear again, whilst the 18th one is repeatable and will appear in your 1min adventure deck every now and then. Other than the 18th mission, the only other Fae Yule-related adventures are found in the 10hr deck. i missed out on phase one can i still obtain those icicles are the quests weekly repeatable? I don’t think you can get the Phase 1 quests anymore. Whether the 3rd phase quest repeats in the 4th week is unknown. Special Fae Yule Minion Adventure Progression is >notnone< so far of the mentioned related quests. That’s odd. Did you try using html or stuff like “<" ? That could screw things up a bit. So, re-typing my issue: Special Fae Yule Minion Adventure Progression is not working for me, apparently. I bought it the day Phase 3 started, did many 1 minute and 5/15 minutes missions, as well as 1 8 hours mission every night amd 1 10 hours mission. All I had so far as 2x 1 minute mission like this guide shows, plus 1 10 hour mission a couple of days later, and not a single other Event related mission so far. Hmm, that does sound odd. You might want to check with Trion’s support or do an in-game report to see if anything effy has occurred. I know some players have had issues with rewards disappearing or general Minion issues since the server issues/crash yesterday. There is a voucher vendor in margle as well (right by the vampire artifact guy that euca trolled us with). Thanks for the info Chickie! Adding that in 😀 And we’ll get him back one of these days! In-game report is bugged atm for me, has been for weeks, Trion only just answered after 2 weeks and the usual automated non-answers, that the devs were aware of that bug and working on it. As for reporting this bug to them through website as well, it wont get an answer before after the event is finished, considering their lack of timely answers. Anyway, there was a server restart this morning for maintenance, and they are starting to come: just started number 3 (8 hours); so I hope that whatever the problem was is now fixed. All the best Fafhred! The missions last past Fae Yule, but hopefully you can get them down soon. My wife bought Rudy off the Auction House for 15p on Zaviel two days ago (who would want to sell this one anyway? ), and it seems that sturdy Minion started the full Adventure Cycle. I won’t know for sure until tomorrow when the first Minion is expected to drop from a 8h mission, but i’m pretty sure she’ll get them all up to Greatfather Frost. Wow, that’s really surprising. Thanks for the information Kee! When trying to activate the Gift code this morning it didn’t work. I checked back on the e-mail from Dec. 19th., they just sent me the same Code again. Hmpf. Where can i buy Fae Yule items? It isn’t in rift store now. I forgot to buy smth. They’ve removed it from the RIFT Store as the world event has ended. They usually let players continue to buy a week after the event is over but that week extension has also past. You’ll have to wait until the next Fae Yule in December to get anything you missed this time around.